Happy Day After Thanksgiving, hope you had a wonderful day yesterday! I bet a lot of you are shopping today, and I know it's a perfect day for that as there are a lot of deals in stores and online. Well, Unity has some super awesome deals waiting for you as well. 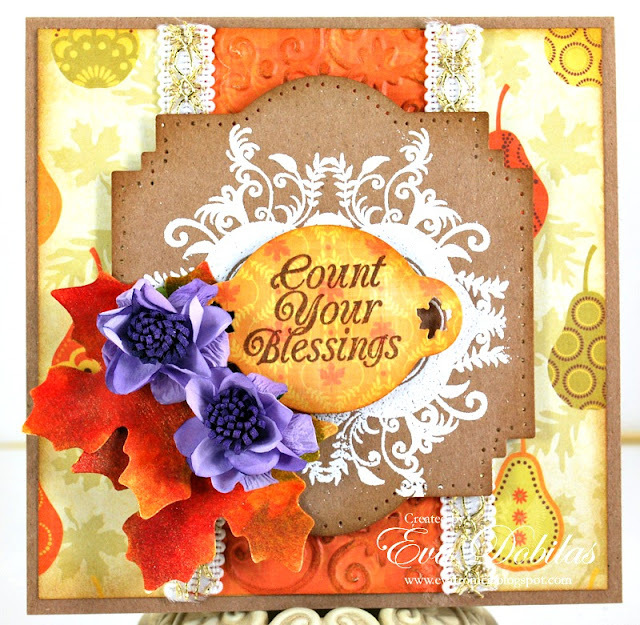 But before I talk about that, let me share a card I made and actually this is one of the cards I have been teaching in my classes, but thought I would share. For my card I used Samantha Walkers Creative Imaginations Orchard Harvest papers, and I also used her Spellbinders dies that match that line. 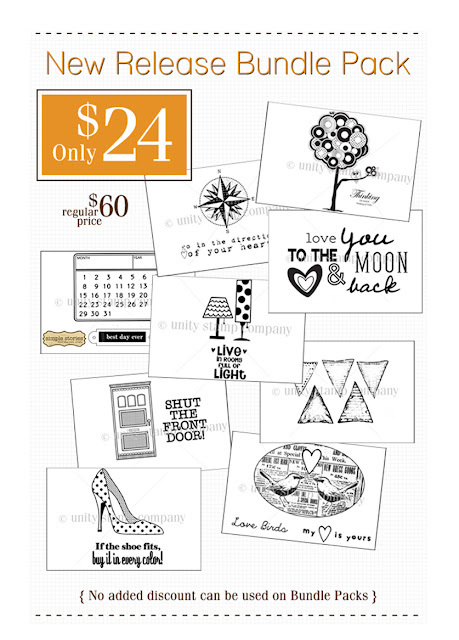 I also incorporated her Encompassed Grace stamps, I seriously love the gorgeous frames in that set. The last set I used on this card is Fall Family Memories. And now about the sales.....here is just one of the specials, but there are a ton of other specials going on as well so make sure you hop onto the Unity blog to see what else you can score today. 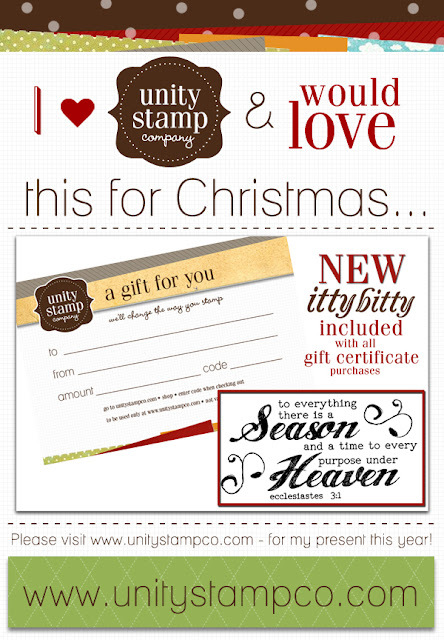 And lookie, you can tell your loved ones that they could just get you a Unity Gift Certificate for Christmas. It's the perfect GIFT.